Our April meeting will take place on Tuesday April 17th at 7pm!! Programming: For our programming this month we'll all have the opportunity to share our favorite quilting book and any projects we've made from it. Q1 Finances: Beth will share a financial report from the first quarter of 2018. Spring WIP Challenge: You can still sign up for our Work In Progress challenge at our April meeting. For the spring challenge you may sign up for as many projects as you like, and you have to pay $1 for each entry. Your items must be completed by our June meeting and if they are you'll be entered to win! Gypsy Wife Quilt: For those participating in this quiltalong, there will be a sewing day in Manchester, NH on 4/28. Carolanne will share additional details. Shop Hops: We are looking for shop hop leaders for June-September. Please see Alison if you are interested. For every shop that you visit with the guild you will receive a stamp/sticker in your Shop Hop passport that enters you for a fabric store gift card in September! The more shops you hop to, the more chances to win. Anna Maria Horner: Our workshops with Anna Maria Horner are this weekend. If you're taking a class and have any questions please send an email to nhmodernquilt@gmail.com and we'll get you an answer. If you're not taking a class, come visit for the pop-up shops! Giveaways and Raffles: Our giveaway item this month is a Mesh Bag Kit. These bags are great for gym clothes, wet bathing suits, or sandy toys! * Raffle #1: Lisa The Unicorn Pattern by Elizabeth Hartman and Four 1/4 yard cuts of Kona Bright to get your started! 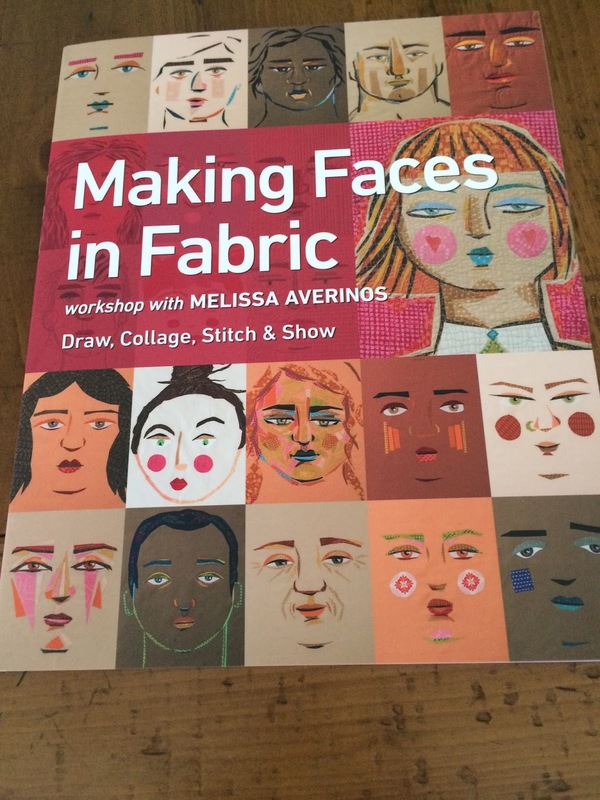 * Raffle #2: Making Faces in Fabric Book: Discover how to create freeform, raw-edge appliqué faces. 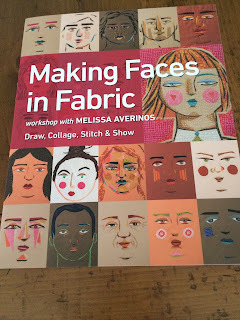 Melissa Averinos walks you through the process step by step, from a comprehensive lesson on drawing faces, to translating your sketch into fabric, to stabilizing the piece with stitching, to incorporating your stylized face into a finished project!